I AM AN AMERICAN PIT BULL TERRIER. Hello!, my name is "Red Scarlet of Villa Liberty", but all call me "Chuchi". I was born in Madrid the day 28 of July of 1995, and I am of the breed dog American Pit Bull Terrier. Alive in an it marries many more friends; I will go them presenting: SIOUX is a Rottweiler a great deal larger than I. It is six years old of age and they charm it the toys of rubber that to whistle and the bones but, if I am able, I am removed them to play I because they are very amusing and me it step <bomb> With them. SIOUX has enough bad milk, but in the fund is a very good and noble dog. POCHOLO is a A. P. B. T. as I. I sleep with him because gives me A GREAT DEAL of heatproducing when it is cold. Is very my friend, but is a little bit fool and never he pays attention. As he is smaller. ! WILMA she is a Rottweiler of four years of age the ones that the impossible life she does me, she does me to playing and she bites me, but that we go to do... When WILMA is sleepy and cold comes to sleep with POCHOLO and with me and among the two to welcome and we give it heat so that more to flavor sleep. DONNA is a Collie and it is more over all we, therefore is nine years old. Always ourselves this to scolding when we do some bad thing. NADINE is a Yorkshire Terrier, and is very “clever” because when I am in the sofa removes me to be put she. Then this "PEPONA", a Bulldog Ingles of three years of age, but she don´t care all, alone thinks about eating and to sleep. "PEPONA" is a little bored. With us my son lives also BARTOLO, he is four years old. "BARTOLO" is the best friend of "SIOUX" and they sleep together in the same room. My son has left enough modern, because the other day he arrived at he marries me a slope in the Ear. While not it be put in the nose, we go well! Also alive with seven cats (TYSON, CAINA, MURCIANO AND MURCIANA, DON CAMILO, TYSONA, AND PELUSO). The Murcianos, I found them in a tenant of trash when my owners and me we were in Murcia once. To the hear to cry, I carried my masters to collect them and these not they were complicated the life to seek them name, and they remained with MURCIANO and MURCIANA. To all we they take care of us my owners, that in reality are the ones that send in all. They are a little mandones and some times to scold us because I create that sits down them badly to see us to play with the cloth of the kitchen or putting us in the puddles. Why did not they play they to become in the puddles with us, with the amusing thing that is? My better friend and to the one that more I want of all is to the PELUSO. When it was small me I put very sick and they had me to playing a great deal in the leg and in the botton. I did not want to eat, neither to drink, neither to play neither swims and the PELUSO coming and gave me many kisses and spirits, including remained to sleep with me, because wanted that put me good to play with him. As not I am going to want...it! Some times, when I am in the sofa sleeping, comes and myself spider the nose playing, is a silly, but I want it a great deal and I endure it all, because is very good person. Good, I am going to say you as I am. Pleases me a great deal to sleep in the sofa, above all when it is cold. Himself this so heat... pleases Me to play, to jump, to run, but to what more pleases me to play is to bite a bag and that try it me to remove SIOUX. poor, is not able with me, although some times it abandonment to gain, ¡What dreamer! Also it pleases me a great deal to eat and if I am able, I remove the food to the others, although always take me. When persons to my house come me he charms to greet them and I move him my tail and I give him kisses. They caress me a great deal and in that moment I am very happy. That not hard always since they begin to speak with my owners and they forget me a little, although I try to put me in the middle so that they follow caressing me. To the end, my owners they say that I am a little silly and I finish in it cooks with POCHOLO AND WILMA. But when I came children, I like very much, because all the time they are passed it with me playing and touch me very much for all my body. Some of the persons that they come to visit us not they want me to touch when they are informed that I am an American Pit Bull Terrier ¿Will Be that I smell badly? Not I know. Other they say that the of my breed dog we are very bad, that we fight us with all and barbarities say and things very bad of us. Not I understand why do they say that. Less badly than my owners they defend us. When that people sees me playing with my friend PELUSO, they miss and they put very rare faces, of amazement. Maybe it is that they do not have friends and not they play never. Oh, what they are lost! Would please me to that all the ones that come to my house touch me all my body as to NADINE, but I create that they are afraid me and not themselves why. It would please me that someone explained him me. To forgive me yes I have lacks upon writing this, therefore I carry very little time going to the school, and I expect that you know it to understand because in the fund I am a dog and me effort everything that I am able. Good, I go because I have just to see the plate of the supper of WILMA and I am going to see if not myself to take and it can be removed. Another day we follow speaking, that now not I am able. CHAO. 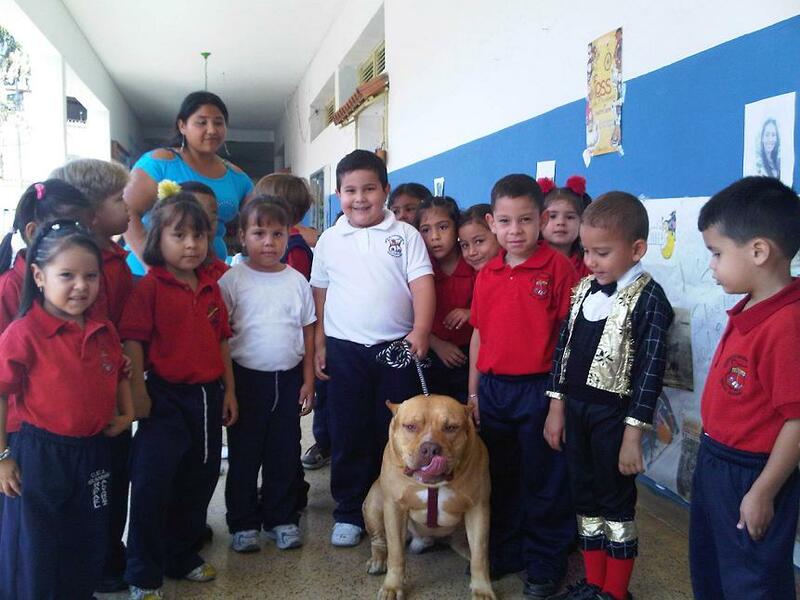 En esta sección del REGISTRO GENEALOGICO DE SEGURIDAD DE LA FIAPBT llamado FIAPBT Pedigree, podrán ustedes estudiar las diferentes ramificaciones genéticas de esta maravillosa y noble raza canina, el American Pit Bull Terrier (APBT); Ver fotografías históricas de ejemplares de APBT nunca vistas anteriormente en publico; Participar en foros privados con diferentes temáticas en torno al APBT; Ayudar a combatir la criminalización que realiza la Ley PPP y la BSL; Crear fácilmente el pedigree online de su ejemplar o de las camadas que usted tenga; etc. Para poder disfrutar de estos servicios, simplemente deben registrarse a través de www.fiapbtpedigree.com con opción del idioma en español o en ingles, como usted prefiera. Esta nueva sección del REGISTRO GENEALOGICO DE SEGURIDAD DE LA FIAPBT, la FIAPBT Pedigree, estará en continuo desarrollo por parte de la FIAPBT, para su mejora constante. 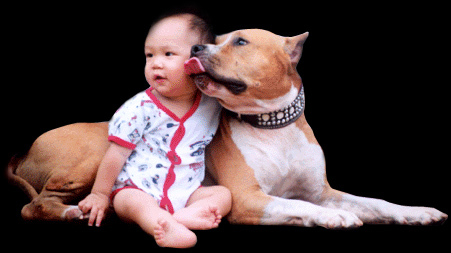 In this FIAPBT GENEALOGICAL SECTION REGISTRY OF SECURITY called FIAPBT Pedigree, you will be able to study the different ramifications genetic of this wonderful and the noble breed dog, the American Pit Bull Terrier (APBT); To see APBT historical pictures never seen previously in publish; To participate in forums deprived with different thematics around the APBT; To help to fight the criminalization that the BSL realises; To create easily the pedigree online of your dog or the litters that you have; etc. En el PRIMER CONGRESO INTERNACIONAL DE IADCRO, se ha demostrado científicamente la no existencia de razas Peligrosas o Potencialmente Peligrosas. Si lo desea, sírvase de las cartas que encontrara dentro de las Alertas como modelo para hacer la suya propia, para enviárlas a las autoridades que usted crea conveniente. La carta que seleccione para realizar la suya propia, sugerimos escoja las más actual, ya que cuanto más actual sea, mejor y más actualizada estará la información en su contenido. IADCRO and the FIAPBT thank so much to all representatives, members and collaborators, for the important effort that they are doing in the diffusion of all related with the defense of the discriminated breed dogs and continue doing everything what are in his hands and within of his possibilities, to secure the objectives of this just cause, by many disadvantages that are in the way . The diffusion of the IADCRO information, is what it really gives the force to us to be able to press suitably to the Governments of the countries that contemplate the BSL and in this way, to be considered. Consequently to this last, we would have more possibilities so that the Law was annulled or modified according to our request, in right terms for the dogs of any breed or cross. 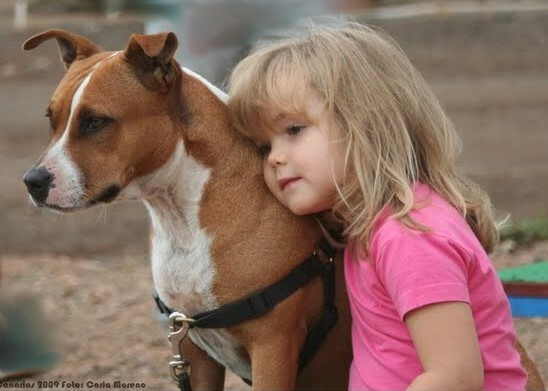 In the FIRST IADCRO INTERNATIONAL CONGRESS against BSL, has been demonstrated scientifically the nonexistence of Dangerous or Potentially Dangerous breeds dogs. That is valid for all countries of the world. Thanks to all for being like you are, making good the proverb that says; “United we stand". Without your endorsement and help, this just cause we would have lost it since the beginning. Your not change never. IADCRO y la FIAPBT agradecen mucho a todos sus representantes, miembros y colaboradores, el esfuerzo tan importante que realizan en la difusión de todo lo relacionado con la defensa de las razas discriminadas y haciendo todo lo que esta en su mano y dentro de sus posibilidades, para conseguir los objetivos de esta justa causa, a pesar de las trabas e inconvenientes que sufren en su contra, por parte de algunos que no les gusta que aflore la verdad y lo justo. La difusión de la información de IADCRO, es lo que realmente nos da la fuerza para poder presionar adecuadamente a los Gobiernos de los países que contemplan Leyes del tipo PPP o BSL y de esta manera, ser tenidos en cuenta. Consecuentemente a esto último, tendríamos más posibilidades para que la Ley fuera anulada o modificada conforme a nuestra petición, en términos justos para los perros de cualquier raza o mestizo. Podemos difundir, corriendo la voz a todos nuestros contactos, a los medios de comunicación, en foros públicos de Internet (foros de perros, animales, naturaleza, derechos humanos, etc.) y de todas las maneras que se nos pueda ocurrir para difundir lo más eficazmente posible la información que aparece en la Web de IADCRO, para intentar conseguir humildemente la colaboración y ayuda que nos podrían aportar los aficionados y amantes de los derechos de los animales. Sin esta colaboración y ayuda, la situación no nos permitirá adquirir la fuerza que necesitamos para conseguir el objetivo.